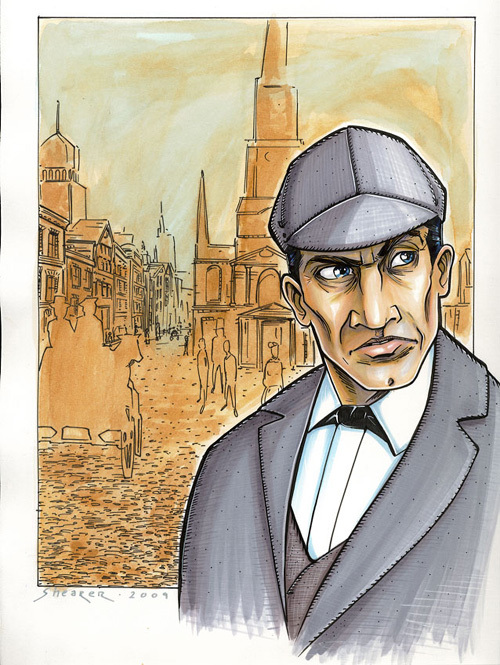 A Sherlock Holmes commission. Prismacolor and Copic markers. Watercolor wash on the background.